Don't miss seeing this home! Enjoy the comforts of this 4 BR, 3 full BA, recently renovated chef's kitchen with granite tops. 2 Master bedrooms: 1st floor Master has full bath and sliders that lead out to the deck; 2nd Master is a true retreat with full master bath. Everyone will enjoy the finished lower level with family room, wet bar, office, craft/laundry room, and workshop with storage. Other features include: deck, screened porch, formal dining, 2 car garage, heated detached workshop/storage shed, mature tasteful landscaping. 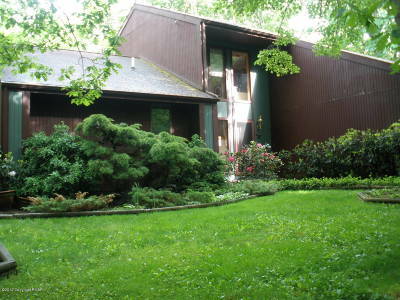 Home sits on 1.4 acres which is surrounded by 60 acres of Township Open Space...enjoy the acreage without the taxes!! You have to see to truly appreciate the value!! Come see today!